I have wondered about the Sleek palettes for a while and this week I decided to go for it. For £5.99 it would be rude not to! 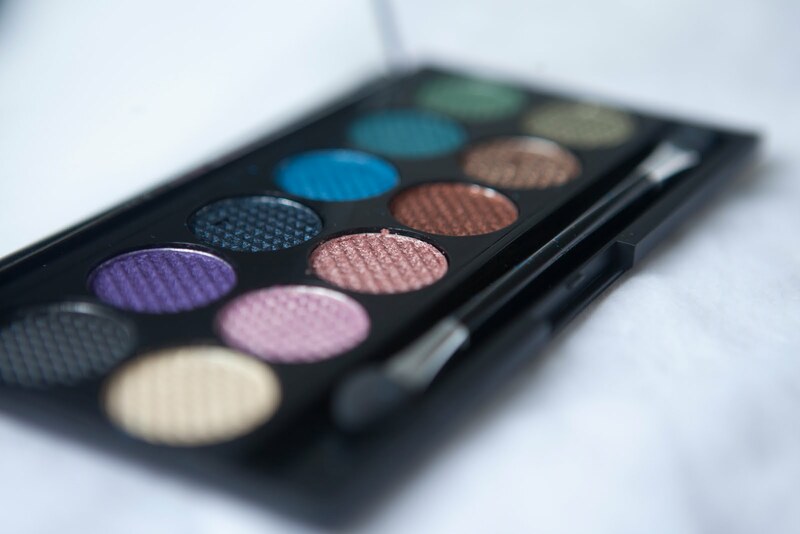 At the time of writing there are six different palettes in the range. I bought The Original 594, and also wanted Storm, but tried 3 different Superdrug stores and didn't have any luck - it must be popular! 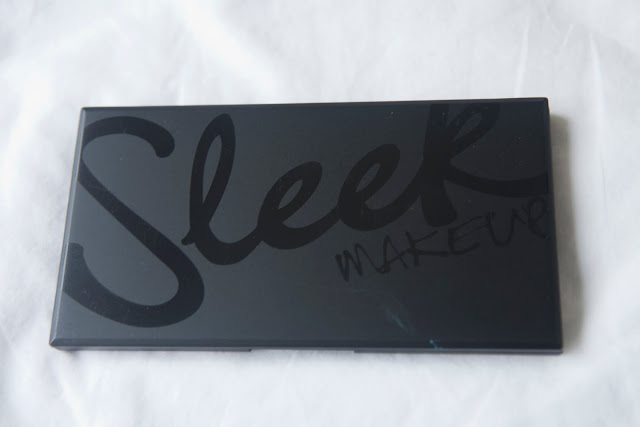 The palette is sleek, matte black, with the Sleek logo shiny across the top. 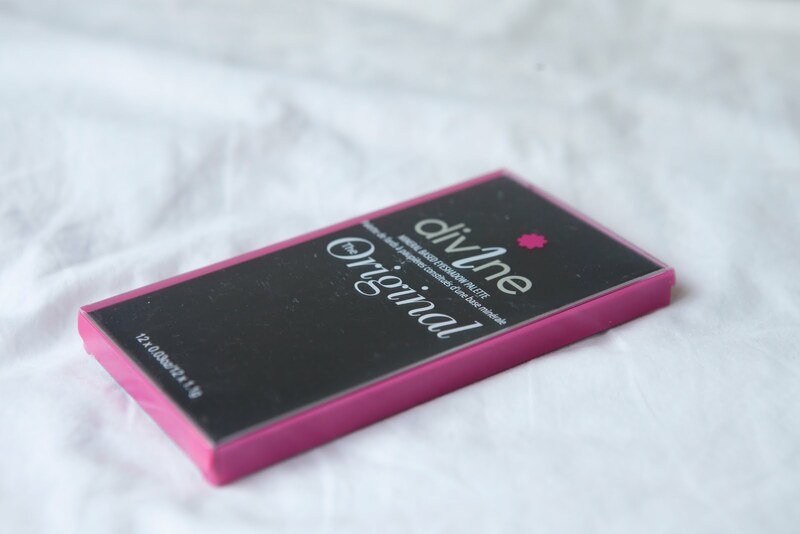 It opens up as a compact with 12 different colours inside, a double ended sponge applicator, and a mirror on the inner lid. The colours don't have names but I will do my best to describe them. From L-R first of all there is a matte black which I guess I'd liken to Carbon by MAC. I mean, how many different shades of matte black can you get?! Then a really metallic purple. In fact all of these colours (other than the black) are really really metallic looking. The next along is a navy with a silvery teal shimmer to it. Fourth along is a really bright vibrant turquoise with golden tones. Then we have a teal, then more of an olivey green again with golden tones - really really pretty. From L-R there is a light gold colour which annoyingly goes on quite speckled, it doesn't look smooth when its on, in my opinion. The second along is my favourite of the palette, a gorgeous light pink and gold shade, so super feminine and completely worth the £5.99 on its own. The next is a metallic dark peach, then a real proper burnt orangey copper, a little of a dirtier copper then an olive green which is lighter and more olivey than the top. 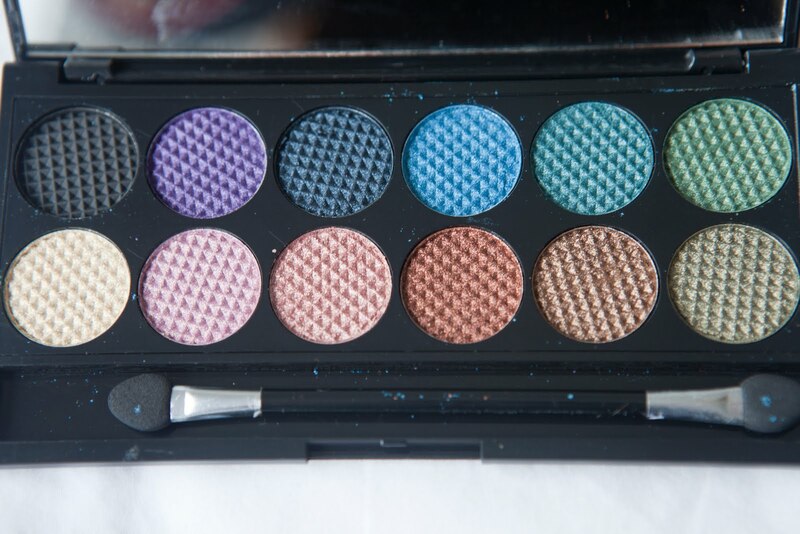 All of the colours are highly pigmented but seem quite soft. 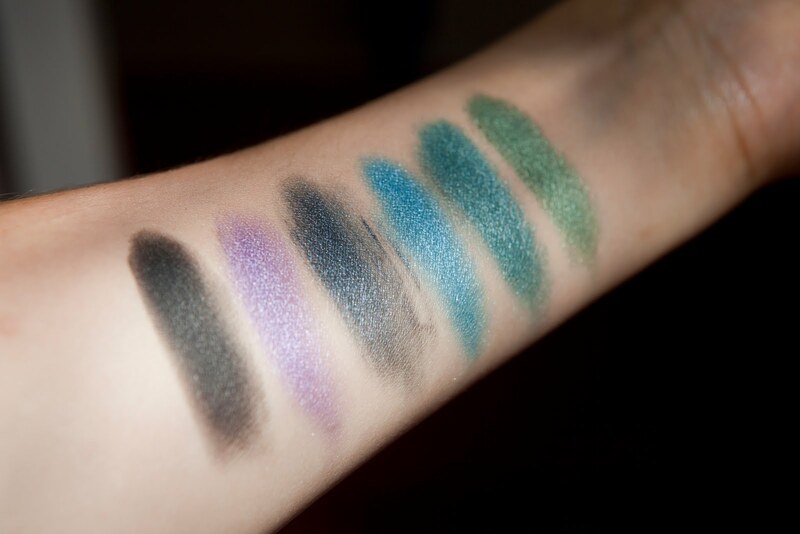 As you can see in the second photo there is already a bit of fall out from the pans, and once I'd applied them once to do the swatches each pan looked really powdery, apart from the black. Maybe that's something to do with the finish of them, which as I've said before, are really metallic. 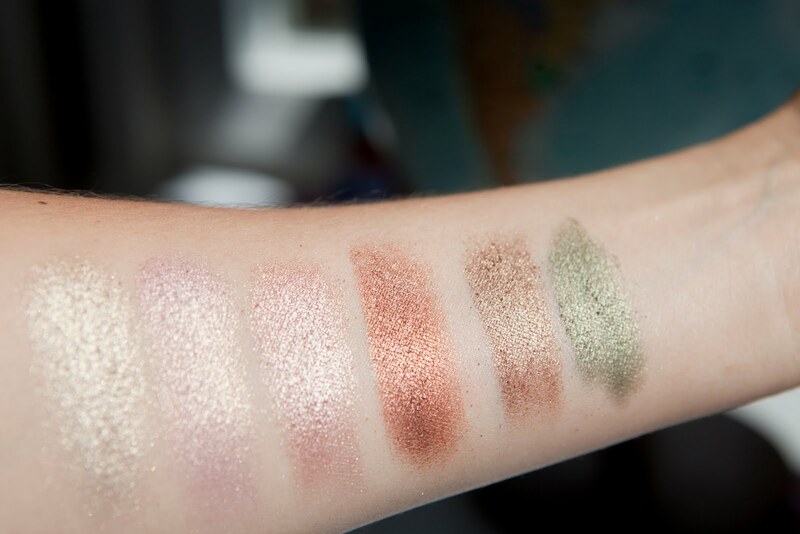 I used the 3rd of the bottom row (metallic peach) over the lid of my eye, then brushed the middle of my lid using the gold (first of the bottom row). 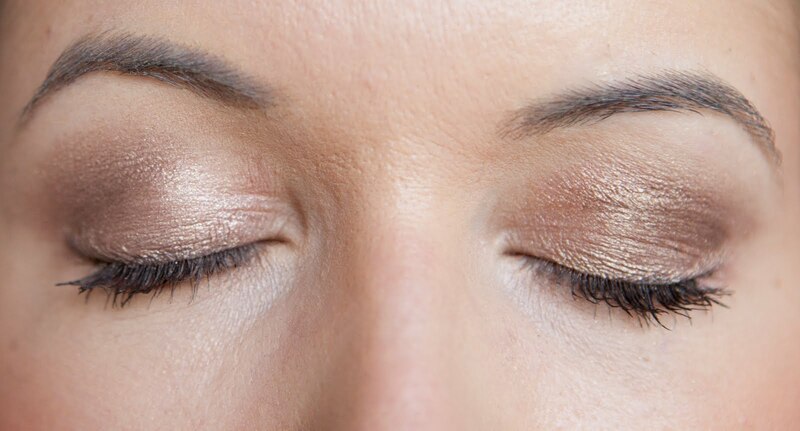 I then used the dirty copper (fifth along on bottom row) in the crease of my eye then blended the harsh line at the edge out with the light pinky gold colour (second of the bottom row) as well as applying a thin line of that under the outer corners of my lower lashes. Hmmm, I've just noticed my eyebrows are completely non-symmetrical! That looks really nice, but then you're so pretty Alice, you could pull off anything. I think I'll pass on this, as I don't tend to get on wiht *cheaper* eyeshadows*, they're always so *dusty* for lack of better word. But I do like the finished look on your lid. 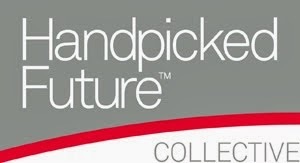 Great review, I have often wondered about these. I only have the Circus palette but whenever I've looked for the palettes in Superdrug they're out of stock. That pinky-gold is beautiful. I'm not sure about the powderiness of the shadows though. I suppose it's because they're mineral formula but they sound like they could be messy! Absolutely love my Storm Palette - not as 'messy' as you may think!